SAGE Award winning “Premium White Morsels” is a 45 minute piece that explores unspoken notions of femininity and whiteness. Engaging with the opportunities and limitations arising from this intersection, it examines the relationship of race and gender to power. It examines the historical construction of white femininity in the United States and follows through to its effects on the modern individual. 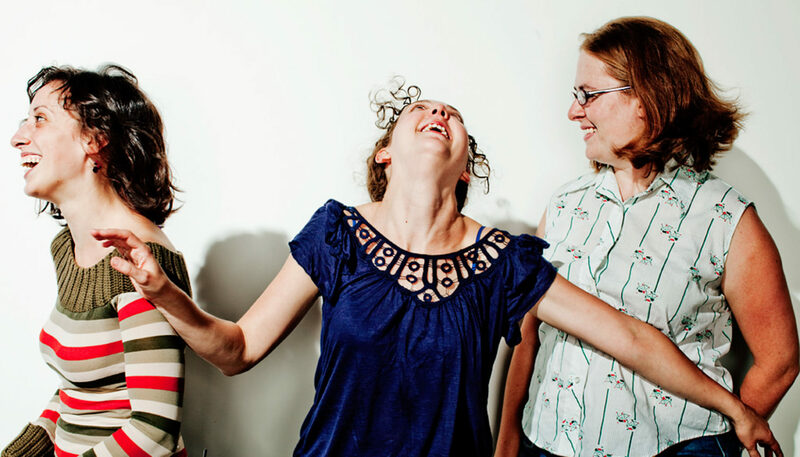 Premium White Morsels was developed through the Naked Stages fellowship and premiered in 2007 at Intermedia Arts. “Everyday I die a little bit and I get that much colder” is a short dance piece to Judy Garland’s “Somewhere Over the Rainbow.” The piece is simple. 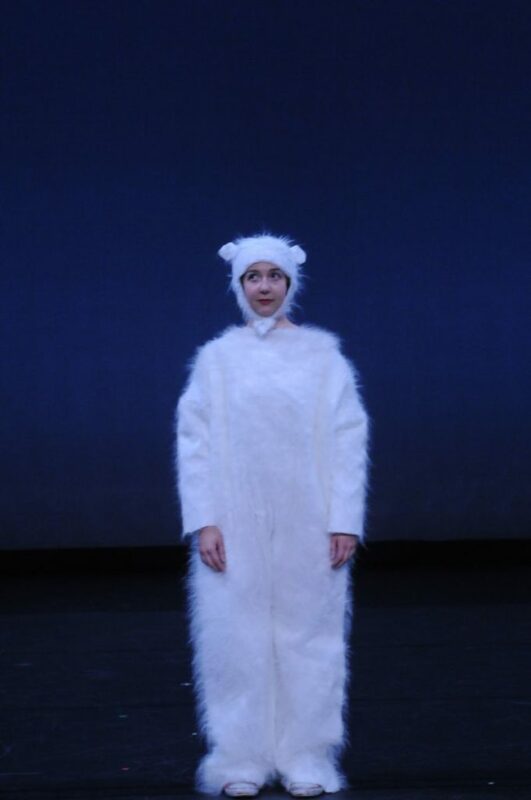 One person, clad in a polar bear costume, stands center stage gazing at the audience. 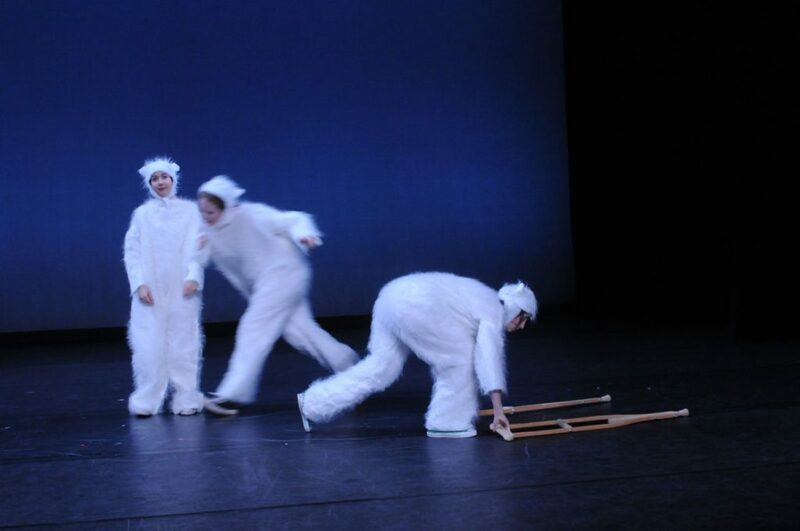 Another polar bear clad person runs on, smashes into her and knocks her down. The new arrival then stands up, and looks at the audience until the third polar bear clad person smashes her down. This is repeated until the end of the song. The piece began thinking about polar bears and extinction, and is a metaphor for distraction and alienation from what really matters. 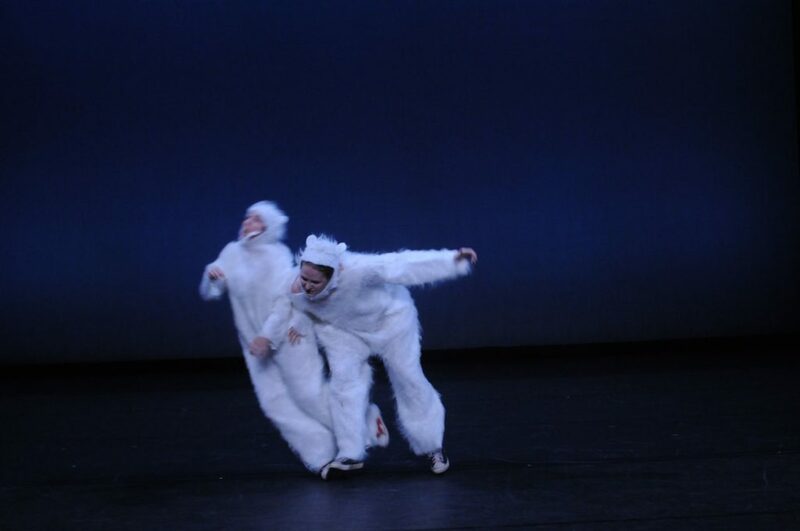 This piece premiered at the Walker Art Center in the 2009 Choreographers’ Evening. “All Sparkles, No Heart” is a 40 minute piece performed by 20 dancers. It examines the complicated nature of agency and power of an individual in a time of mass spectacle. The work investigates and remixes the past 100 years of Western pop culture, including suffragettes, Guy Debord, the Las Vegas Folies Bergère, and a long line of glamorous blond celebrities. This piece seeks to find a feminist heart in an apparently vacant culture.